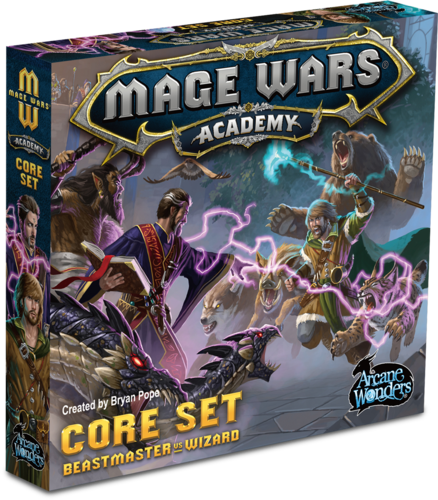 Mage Wars Academy features gameplay similar to Mage Wars Arena (née Mage Wars) with two mages in head-to-head combat to see who will be victorious. 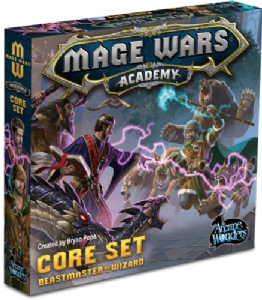 Mage Wars Academy is a two-player starter set that features two mages, two spellbooks, and a new "boardless" gameplay design that's more portable and fast-playing than Mage Wars Arena. All of the spell cards included in Academy are compatible with those in Arena.